If you recently started playing Life is Strange: Before the Storm, you may find yourself wondering where all of the graffiti locations are. The graffiti mechanic in Life is Strange: Before the Storm works in a similar manner to Max’s photography in the first game. For each spot you mark with graffiti, you’ll earn an achievement. There are 10 different graffiti locations in Life is Strange: Before the Storm. To help you find them, we’ve put together a quick guide on all graffiti locations in Life is Strange: Before the Storm. 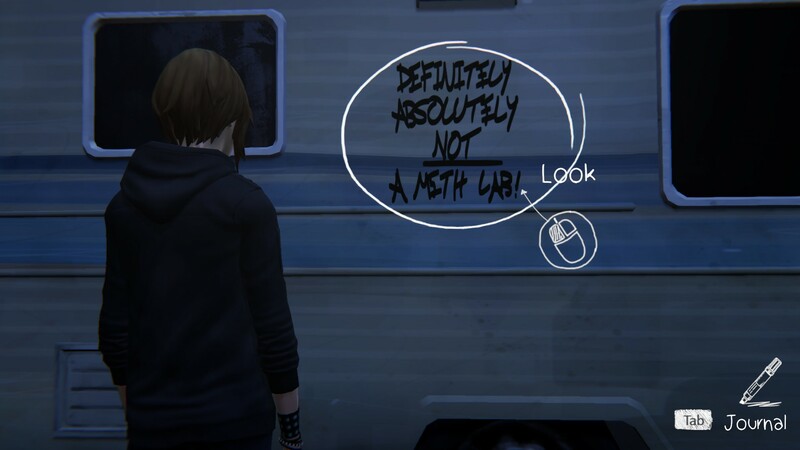 The first graffiti location in Life is Strange: Before the Storm can be found on the other side of Frank's RV. 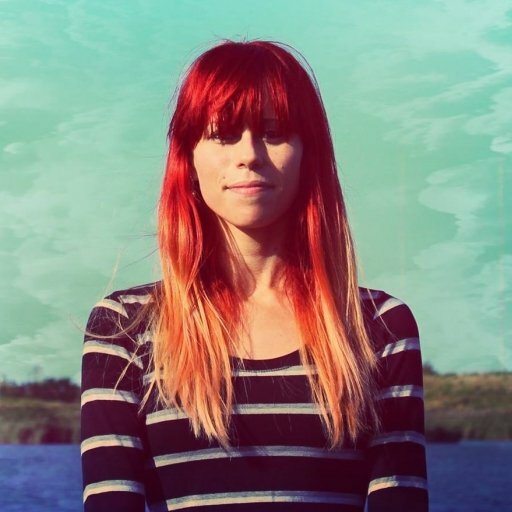 The first graffiti location in Life is Strange: Before the Storm can be found prior to entering the Old Mill to enjoy the Firewalk concert. On your left, there’s a large RV (which belongs to Frank from the first game). Walk over to the RV, then head around to the back. There, you’ll find a spot where you can leave your graffiti and earn the first graffiti achievement in Life is Strange: Before the Storm. 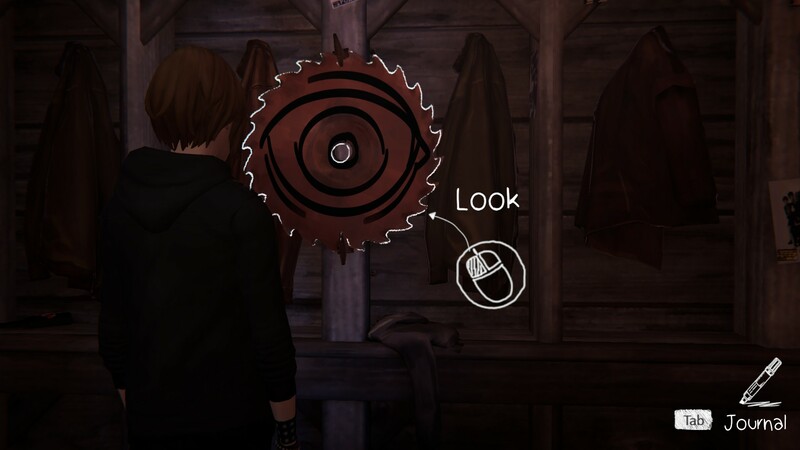 The second graffiti location in Life is Strange: Before the Storm can be found on an old saw right before you enter the mosh pit. The second graffiti location in Life is Strange: Before the Storm can be found after you backtalk your way into the Old Mill. On your left, there’s an entrance to the concert through a mosh pit. Rather than making your way through the mosh pit, look to your right. There, you’ll find a rusted saw blade. Leave your graffiti here to earn the second graffiti achievement in Life is Strange: Before the Storm. 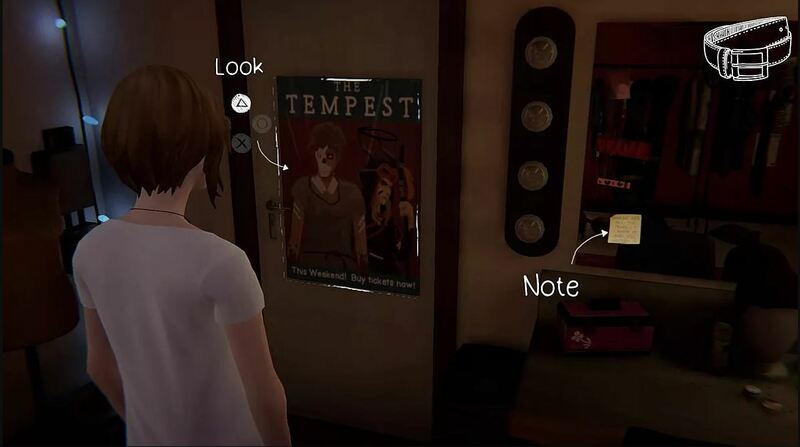 The third graffiti location in Life is Strange: Before the Storm can be found in Chloe's room behind a poster of a unicorn. 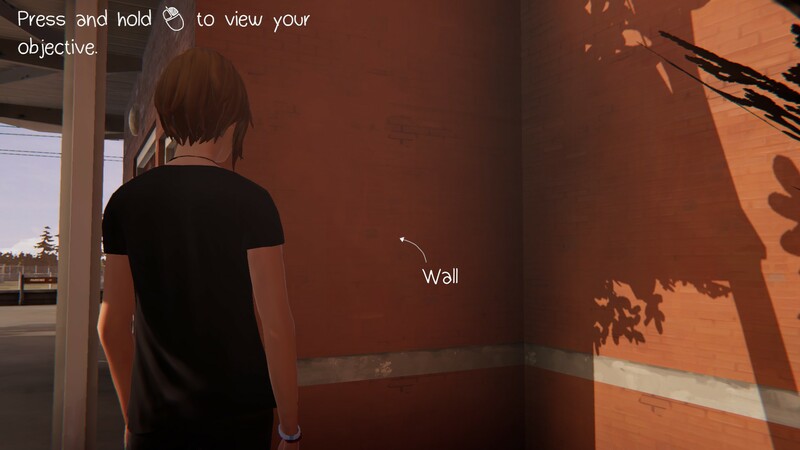 The third graffiti location in Life is Strange: Before the Storm can be found after you wake up in Chloe’s bedroom. Proceed to get dressed, and look around the room. Before you leave, though, take a look at the unicorn poster on your left. This will prompt Chloe to tear it down, revealing a blank space of wall. Leave your graffiti on the wall to earn the third graffiti achievement in Life is Strange: Before the Storm. The fourth graffiti location in Life is Strange: Before the Storm can be found as you're grabbing a wrench for David. 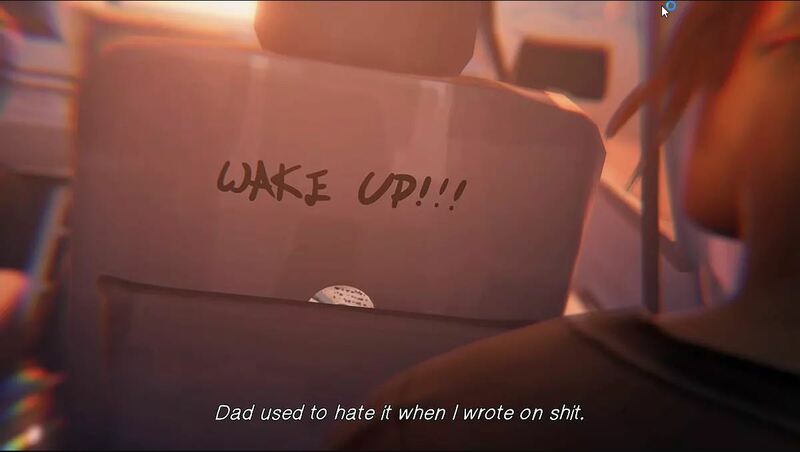 The fourth graffiti location in Life is Strange: Before the Storm can be found after you interact with Chloe’s mother and stepfather. While Chloe’s stepfather David is fixing up his car, he’ll ask you to head into the garage and grab him a socket wrench from his toolbox. After lifting the toolbox lid, you’ll be able to graffiti your true feelings about David. Leave your graffiti in the toolbox to earn the fourth graffiti achievement in Life is Strange: Before the Storm. The fifth graffiti location in Life is Strange: Before the Storm can be found on a wall behind the outdoor stage for The Tempest. The fifth graffiti location in Life is Strange: Before the Storm can be found on the school campus before you head inside. On your left, you’ll notice a stage set up for the drama class. Head behind the stage and you’ll come across a spot on the wall where you can graffiti without being seen. Leave your graffiti to earn the fifth graffiti achievement in Life is Strange: Before the Storm. 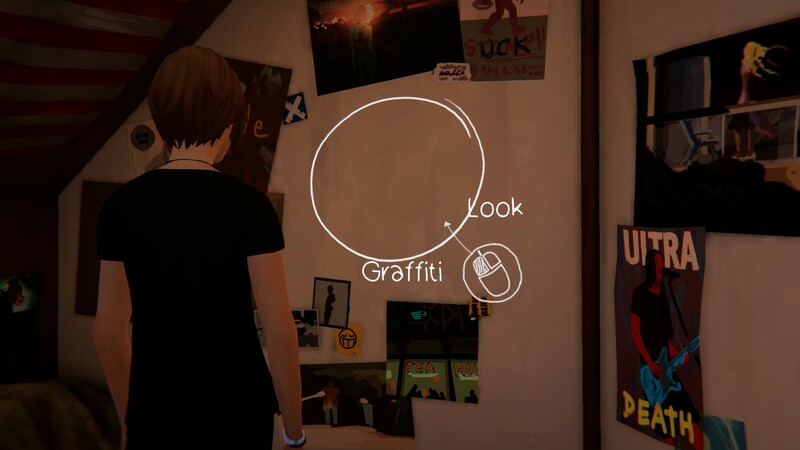 The sixth graffiti location in Life is Strange: Before the Storm can be found in the dressing room while Rachel is changing. The sixth graffiti location in Life is Strange: Before the Storm can be found after you head into the school and get pulled into Rachel Amber’s drama class. As she’s changing in the back, look at the poster for The Tempest on the wall. By interacting with the poster, you’ll be able to add your graffiti to the mix. Leave your graffiti to earn the sixth graffiti achievement in Life is Strange: Before the Storm. The seventh graffiti location in Life is Strangth: Before the Storm can be found inside the train car on the wall. The seventh graffiti location in Life is Strange: Before the Storm can be found while you’re riding on the train with Rachel. Here, Rachel will ask you to take a seat beside her. On the right side of the train car is a box that can be pushed over to where Rachel is sitting. Before you interact with the box, hop over it and look at the wall of the train to your right. Leave your graffiti to earn the seventh graffiti achievement in Life is Strange: Before the Storm. 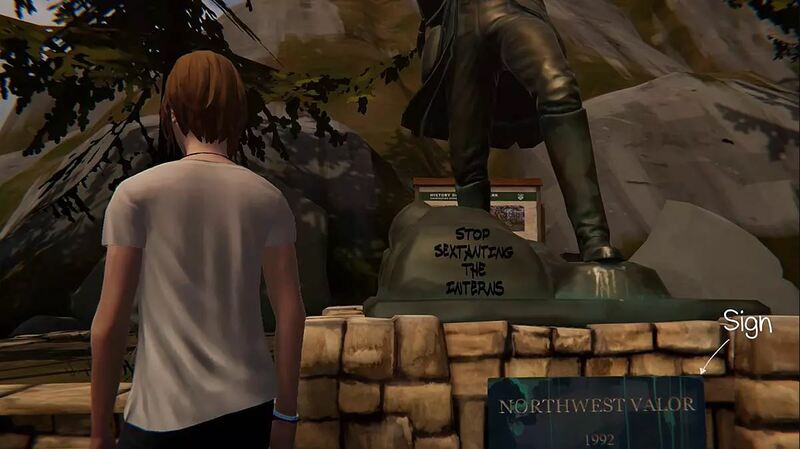 The eighth graffiti location in Life is Strange: Before the Storm can be found beneath the statue in the overlook area. The eighth graffiti location in Life is Strange: Before the Storm can be found while you’re spying on people with Rachel. When her quarter gets trapped, you’ll offer to MacGyver it out. Before you begin looking for tools, though, take a look at the statue right behind you. On the bottom of the statue is a space where you can graffiti. Leave your graffiti to earn the eighth graffiti achievement in Life is Strange: Before the Storm. 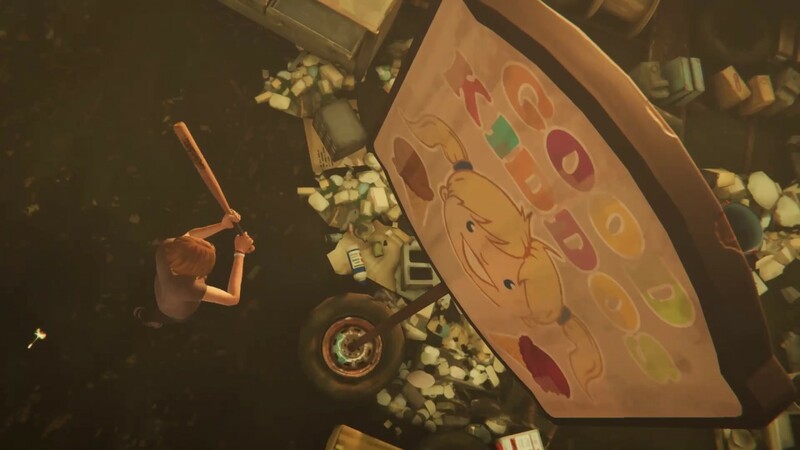 The ninth graffiti location in Life is Strange: Before the Storm can be found by smashing the "Good Kiddos" sign and some paint in the junkyard. The ninth graffiti location in Life is Strange: Before the Storm can be found as you enter the junkyard with Rachel. After you initiate the rage sequence with the baseball bat, head over to the sign that says “Good Kiddos” and smash it. After that, find the paint cans nearby and smash them. This will spray paint over the sign, which counts as “graffiti” even though you’re not using your trusty pen. Leave your graffiti to earn the ninth graffiti achievement in Life is Strange: Before the Storm. 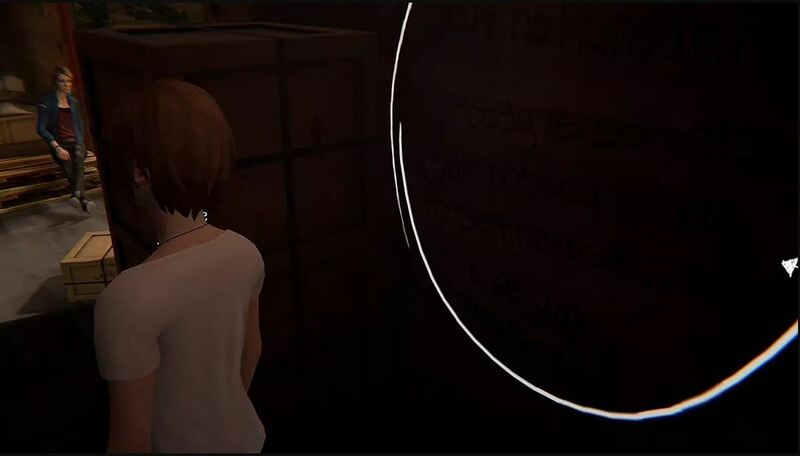 The tenth graffiti location in Life is Strange: Before the Storm can be found during Chloe's dream sequence with her father. The tenth and final graffiti location in Life is Strange: Before the Storm can be found as you’re going through the dream sequence with Chloe’s father. While you’re seated in the back of the car, look at the passenger seat right in front of you. Here, you’ll be able to graffiti how you feel. Leave your graffiti to earn the tenth and final graffiti achievement in Life is Strange: Before the Storm. There you have it, all of the graffiti locations in Life is Strange: Before the Storm. Were there any you missed the first time around? Let us know what you think is the hardest graffiti location to find in Life is Strange: Before the Storm down in the comments below! By reading through this guide, you should now know where to find all of the graffiti locations in Life is Strange: Before the Storm.